Quilt Moments – Congratulations Winners! Thank you to everyone who participated in the Quiltmaker 100 Blocks tour and commented on my first blog entry. 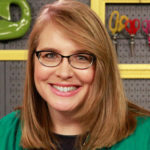 It was fun and informative to learn what you like about blogs, get some feedback on my patterns, and even hear what you were having for dinner….some answers made me wish I was dining at your house! Remember to look for Volume 4 at your quilt shop, newstands, or directly through Quiltmaker starting this week. And thanks again to Quiltmaker for including me in this wonderful magazine and inviting me to join the blog tour! Now that I’ve entered blog world I hope to post something at least every few weeks (I know I won’t be able to keep up the pace of every day so I’m not making that my resolution!). So please signup to be notified of future posts. I plan to share photos and inspirations for my designs and other quilty thoughts. And of course, to make it fun and tempting, I’ll have occasional giveaways! And now, the winners for the 4 prizes for my first blog entry and Quiltmaker 100 Blocks Vol 4 tour are…….drumroll please………………………………………………………………………. 1) Quiltmaker 100 Volume 4 magazine goes to ……..Wordygirl! What do I love about quilt blogs? The inspiration, sense of community, and chance to take a moment to focus on creating, right in the middle of the day or night. 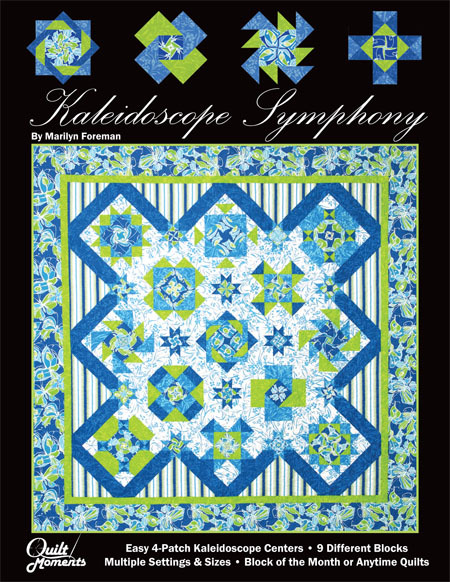 2) Kaleidoscope Symphony book goes to …….Maria Kievit! Really enjoyed looking at the kaleidoscope effect! Beautiful block. 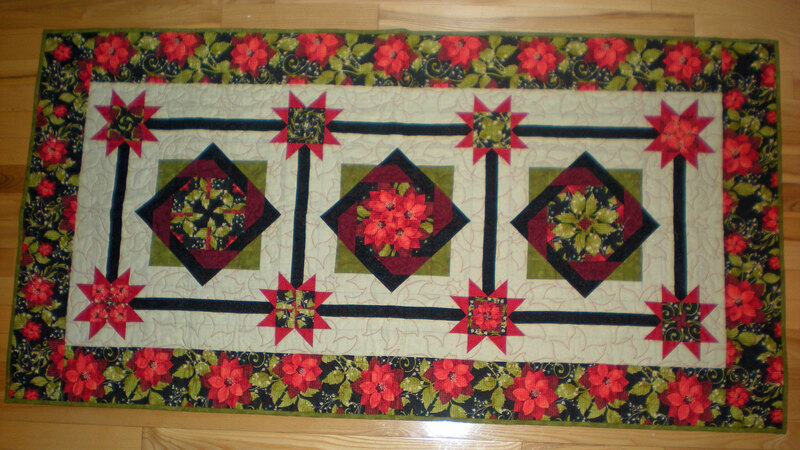 3) Quilt Moments’ pattern of your choice…..goes to KT! I will be sending KT one of the two patterns that she likes shown above. Love your Kaleidoscope block! I really like Elegance and Keyboard Kaleidoscope. We’re having pasta for dinner tonight–swim meet tomorrow. Thanks for the chance to win! 4) Kaleidoscope Symphony table/sofarunner kit with Moda Jovial & Puzzle Pieces fabrics goes to……Diane Durrant! Great pattern! I visited your website and perused the patterns. I loved the Twilight Kaleidoscope the best – the colors just jumped off the page!! My next favorite was Keyboard Kaleidoscope. Congratulations to all the winners. I’ll be emailing you to get your mailing addresses to send out your goodies. Enjoy all your quilt moments! Many thanks, Marilyn! I’m very excited to receive and work on the table runner, and am looking forward to your future blog posts! I prefer version #1 of the Twister quilt.